On the heels of accepting a special award at the 2014 convention of the National Association of Hispanic Journalists (NAHJ), BuzzFeed editor Adrian Carrasquillo is getting some nice ink on the west coast. 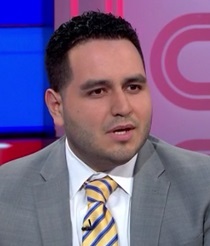 Appointed to the position in April, Carrasquillo has been covering the shooting of an unarmed black teenager in Ferguson, reporting on the child immigration crisis on the border and sorting BuzzFeed’s Latino content so that it gets to the virtual front-pages of the site. “I want to respect the audience and I want people to feel we come from an authentic place,” he says. Among the challenges identified by Carrasquillo is reconciling the concentration of Mexican Americans in the U.S. Southwest with an American media infrastructure driven by decision-making principally headquartered in the northeast. Carrasquillo was previously with NBC Latino. Read the rest of Romero’s item here.